That’s right, Patek Philippe ref. 3842. 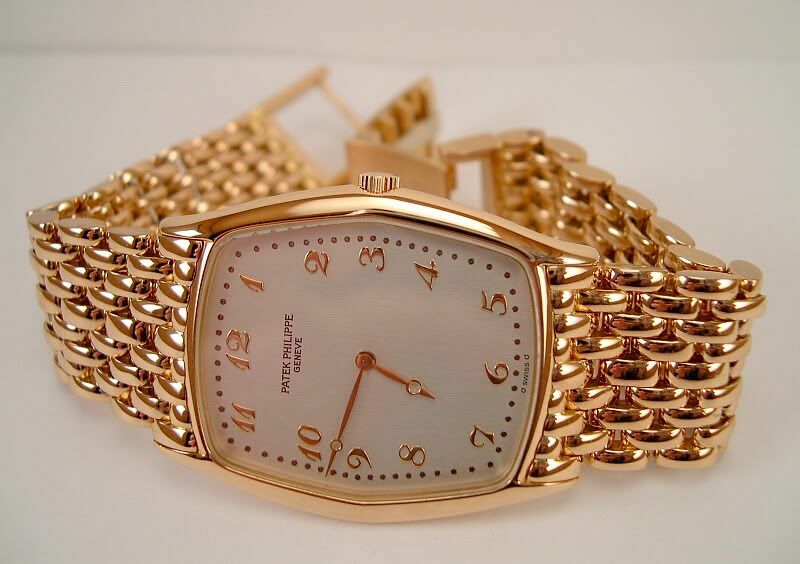 Frank A. writes on the TimeZone Public Forum he is the lucky owner of this rose gold watch. Hi all. I have always admired Patek watches, and I have been keeping my eyes open for something a little unusual from PP. Well, I found this one and absolutely loved it. The thing is, I am not even bracelet guy as I prefer my watches, especially my dress watches, to be on straps. For someone who isn’t much of a bracelet guy, this is a lot of bracelet… although I would love to try this one on my wrist some time, I would find a suitable croco leather strap for it.